Just in time for autumn celebrations, I've added four new cross body bags to the Pesky Cat Designs shop! Your handbags are lovely! I really like them. Anni sure is cute. How nice that she was on the streets and now lives in luxury. I'm so glad! Yey! 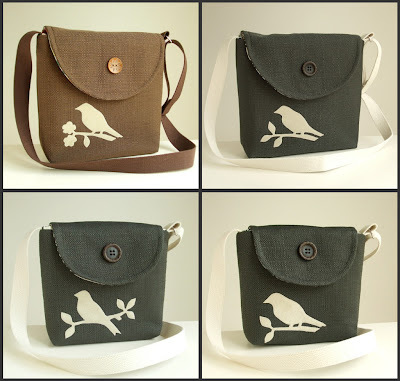 Birdies on handmade bags - what can be better? Thank you all for stopping by and leaving a comment! 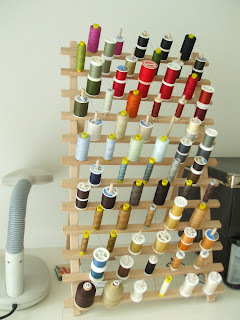 Sandrine- I purchased the 66 large-cone-thread rack on Amazon.com. The pegs are long and staggered so they hold the Gutterman 1,100 yard spools well. And a bonus, if you have smaller spools each peg can hold two! 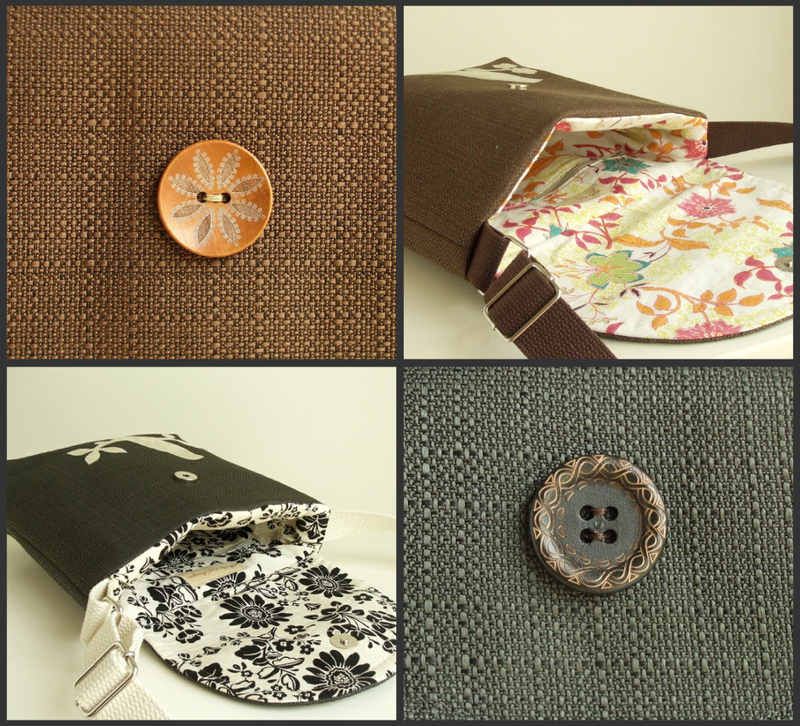 I always love seeing the lining of your lovely bags! Autumn blew in here today. 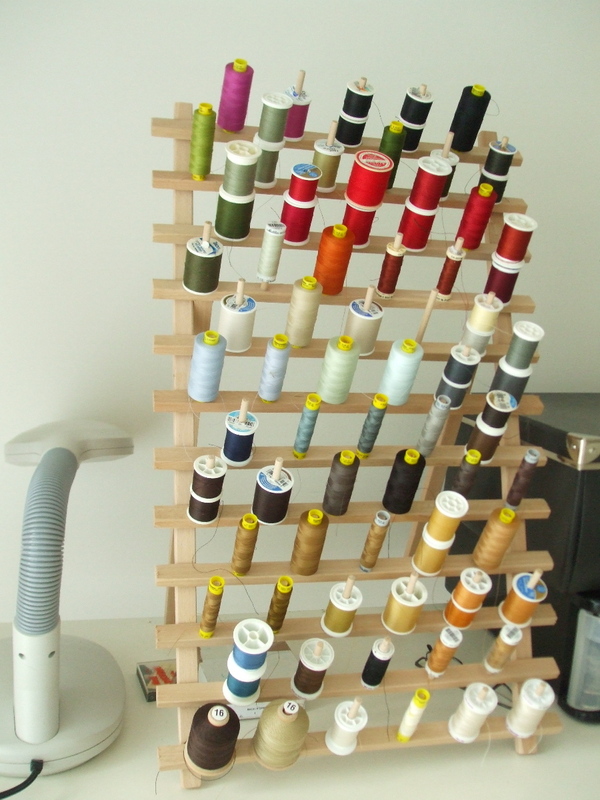 LOVE your new thread tower! I was soooo excited when I reorganized my clay so it was easier to find. It makes the world of difference when you are not digging.